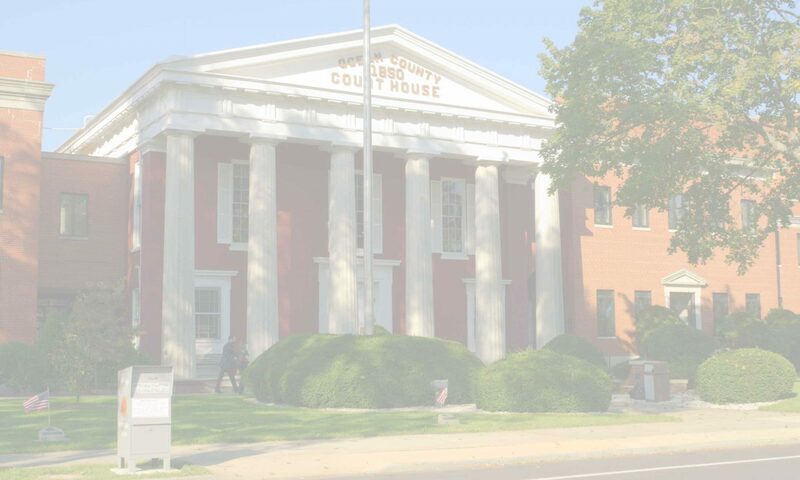 Below is an article about an interesting case we recently filed in Morris County which has been picked up by Law 360. Law360, Clifton, N.J. (June 15, 2017, 6:11 PM EDT) — Bayer AG provided inadequate warnings or instructions on its “Dr. Scholl’s” padded callus removers about the potential risks to diabetics, leading a New Jersey man with diabetes who used the product to lose part of his left leg, according to a medical malpractice action filed against the company in state court. William O’Dowd alleged in his complaint that Bayer knew or should have known of the risk of injury to diabetics from the foot pads and the salicylic acid contained in the pads, claiming that “the defective warning and labeling on the pads were substantial factors” in causing his leg to be partially amputated. “The packaging fails to adequately warn, as the fine print lettering on back is barely discernible, based upon location, color and font size. The danger of applying acid on a pressure [bruise] puts the diabetic at significant risk of amputation which in this case could have been prevented but for the neglect and failure to warn,” O’Dowd’s attorney, Philip G. Mylod, told Law360 on Thursday. “It is our sincere hope that we can effectuate justice not only for our client but other unwary diabetic consumers of this product,” Mylod added. The complaint, filed on June 9 in Morris County Superior Court, also names Dr. David H. Sims, a podiatrist, and his practice, Parsippany Foot and Ankle, as defendants. Sims could not immediately be reached for comment Thursday. O’Dowd, whose wife also is named as a plaintiff, said Sims advised him to buy “some foot padding” to treat a callus on his left foot that formed after wrapping was misapplied following hammertoe surgery performed by the doctor, but Sims did not instruct O’Dowd regarding the type or kind of padding he was to purchase. “Doctor Sims breached his duty of care owed to plaintiff by failing to properly apply the postoperative wrapping and failing to advise or warn plaintiff regarding foot pads, with no other warning of potential risks in choosing certain popular, name brand pads,” according to the complaint. After O’Dowd underwent the same-day surgery on April 10, 2015, Sims and/or his staff wrapped O’Dowd’s left foot to above his ankle and O’Dowd was discharged from the hospital, the complaint states. Throughout the weekend following the surgery, O’Dowd said his left foot was “throbbing.” O’Dowd was in “extreme pain” on April 13 when he visited Sims, who advised him that the foot was “not wrapped right,” according to the complaint. A nurse re-wrapped the bandage up to O’Dowd’s calf that day, but “it was still very tight,” the complaint states. The next day, O’Dowd visited Sims and it was noted that a callus had formed under the fifth metatarsal, the complaint states. On April 23, Sims removed the bandage and said, “oh that’s bruised,” according to the complaint. The doctor advised “no further wrapping,” and told O’Dowd “to go and purchase ‘some foot padding’ and to place the padding on the affected callus,” the complaint states. But that day, Sims failed to identify or offer to provide the necessary padding for O’Dowd’s foot, and he did not provide any oral or written instruction to O’Dowd regarding the type or kind of padding he should purchase, the complaint states. Sims also did not warn O’Dowd to avoid using medicated padding, the complaint states. “After April 23, 2015, plaintiff followed defendant, Doctor Sims’ advice and purchased ‘some foot padding’, namely Dr. Scholl’s Callus Remover Pads at a local store,” according to the complaint. Two days later, O’Dowd returned to the medical office “complaining of extreme pain in his left foot,” and he was seen by Dr. Kiran D. Poylangada, the complaint states. Poylangada “reported ulceration of lateral left 5th metatarsal joint caused by the foot pads, which contained corn removal medication,” according to the complaint. On April 28, Poylangada ordered an MRI of O’Dowd’s foot, which was conducted the following day, the complaint states. “At this point, the hammertoe surgical site was fine, but plaintiff had a pressure wound on the left side of his foot and the exterior outside of his foot was black,” the complaint states. Poylangada on April 30 referred O’Dowd to an infection disease doctor, who diagnosed him on May 6 with a pressure ulcer, according to the complaint. Later that month, O’Dowd was admitted to Morristown Medical Center, where “it was determined that he would need surgery and angioplasty to open veins,” the complaint states. He was discharged from the hospital on June 8, the complaint states. On June 10, O’Dowd was admitted to Hunterdon Medical Center and he stayed there overnight for “an angioplasty repair perforation of the vein,” the complaint states. On July 27, O’Dowd had “an amputation of his left leg performed below the knee,” the complaint states. The O’Dowds are represented by Philip G. Mylod of Mylod & Fitzgerald PC. The case is William O’Dowd and Loretta O’Dowd v. David Sims, DPM et al, case number L-1287-17, in the Superior Court of New Jersey, County of Morris. The attorneys at Mylod & Fitzgerald aim to prevent lawsuits. The way we do this is by focusing on proper paperwork that limits the liability of our clients. Leasing a horse allows a person to experience the responsibilities and benefits of horse ownership without a permanent commitment. 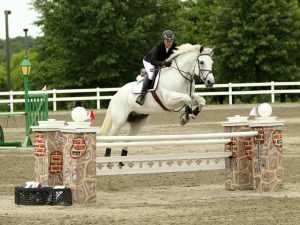 Equine lease agreements are popular in New Jersey, yet surprisingly, some people lease a horse based upon a mere handshake or use agreements which are vague and full of ambiguities. This exposes the parties to the possibility of costly problems down the road. 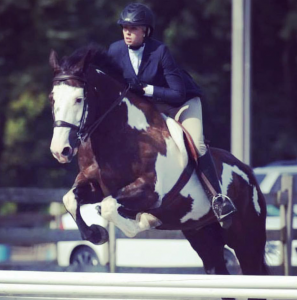 A comprehensive lease agreement is necessary to facilitate the lease of a horse, and should be negotiated between the parties with the help of equine attorneys. Who is the owner and who is the leasee? When does the agreement begin and terminate? Who is responsible for paying for routine veterinary care and non-routine (emergency) care? Where is the horse to be kept? How can the horse be used? What are the training and showing restrictions? Can the horse be used for recreational trail riding? What is the standard of care that the horse must receive during the lease? Can the Leasor inspect the horse? If so, how often? Who is the Leasee allowed to train with? Is the horse insured with equine insurance during the lease? 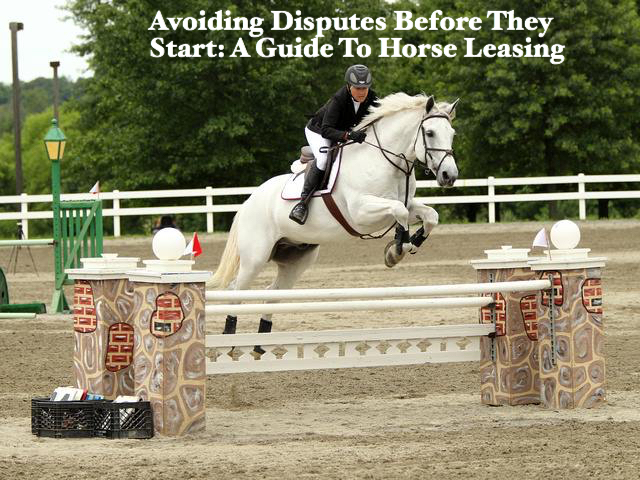 What happens if the horse becomes lame mid-lease? These are just a fraction of the considerations that should go into a lease agreement. 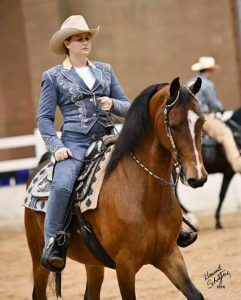 It doesn’t matter if you are leasing a $1,000 horse or a $100,000 horse, a carefully worded written contract can prevent a legal dispute. The contact will ensure that both parties have the same understanding of the agreement being entered into. This will help to avoid a legal battle which will not be quick, easy, or cheap to resolve. 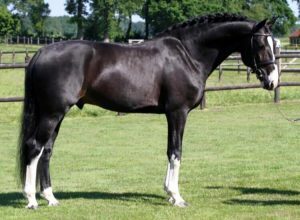 The legal fees to prevent disputes through a solid lease agreement are minor in comparison to the potential legal fees in connection with equine litigation. If you have any questions about securing your interests, call Mylod & Fitzgerald at (732) 830-6464, or contact us HERE. Remove The Snow Before You Go! After a snowstorm, many New Jersey residents shovel a path to their cars and clear the way so they are able to pull out of their driveway or parking spot. Those people then proceed to wipe off their windshield, windows, and door handles of their vehicle but may be forgetting something very important that could get them into trouble down the road *pun intended*. The State of New Jersey has imposed an affirmative duty on anyone operating a motor vehicle on a street or highway to make “all reasonable efforts” to remove accumulated ice or snow from the vehicle prior to operation. NJ Rev Stat § 39:4-77.1 (2013). The reasoning behind this law is obvious… the snow and ice could easily become a dangerous projectile and has the potential to harm other drivers on the road. The snow and ice becoming dislodged is not, however, a prerequisite to a ticket for this offense. You can be ticketed between $25 and $75 even if the snow and ice did not actually dislodge from your vehicle. This means you could be driving through a neighborhood at 15 mph and get a ticket for having snow on your roof. If there is any damage or injury caused by snow or ice on your vehicle, the fines range from $200 to $1000, not to mention potential liability for injuries caused and damages incurred. Below are a few useful winter driving tips to remember during this inclement weather. Please follow these tips to keep yourself and other safe. Drive slowly (at or below the posted speed limit) and adjust your speed for the changing road conditions.